The best smart home devices for you. In this day and age, we’re all about being connected. Whether it is through our phones, smart watches or computers we’re virtually always connected to the internet in some way. But have you taken the next step in turning your home into a smart home? In the last few years, smart home technology has taken a lot of leaps into creating better, faster and smarter homes that accomplish a number of things from making your life easier to keeping you safer and saving you money on your utility bills. Devices to make life easier. You may have heard, or even own, a digital assistant or Hub, such as the popular Amazon Echo Plus or Google Home. But are you realizing the maximum potential of these devices or are they just a cool speaker that talks back to you? The assistants were designed to make your life easier and do exactly what their name implies; assist you. For example, did you know that you can tell your Google Home to remember that you put your keys in the top drawer? Then when you’re frantically looking for them the next morning all you have to do is say “Hey Google, where are my keys?” and bam! Your little paperweight assistant can help you out. This hub can also connect and help you control other smart home device brands IFTTT, Nest, Chromecast, Philips Hue, SmartThings, WeMo, and Honeywell. You can ask it to “Google” anything for you, connect it to Google maps to tell you the traffic along your route, or remind you of an upcoming appointment in your Google calendar. 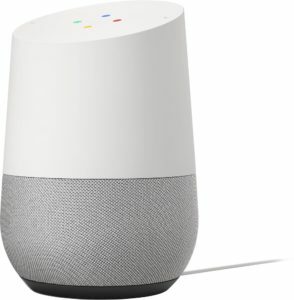 With Google Home and Google Mini, life can be much easier from any room in the home. Another option is the Amazon Echo Plus and Amazon Echo Dot. 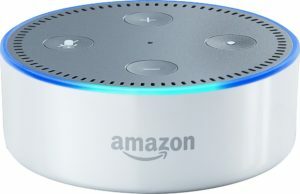 These smart speakers help you order from Amazon, read recipes while you cook, call others with an Echo, stream music, and connect other smart home features into one central location (although, the Echo Plus is much better at this). Just talk, and Alexa will handle the rest. Devices to save you money. 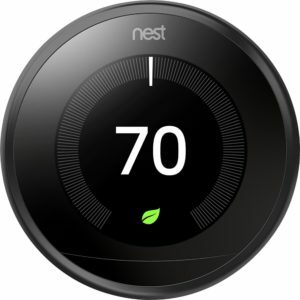 Incorporating products like the Nest Smart Thermostat or Smart Lighting can also end up saving you money in the long run on your electric bills. The ENERGY STAR certified Nest Smart Thermostat will remember your ideal temperature, build a schedule that aligns with yours, and deliver a comfortable home environment, while also cutting back on energy usage when you’re not around. Through a process of machine learning, the Nest Thermostat will adjust the temperature based on your habits and tell you your optimum energy saving temperatures over time. Smart Lighting, while costly on the front end, can also save you money. 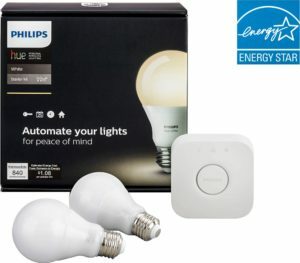 Set lighting timers and dimmers, add motion sensors to your rooms, and replace your light bulbs with smarter, more energy efficient alternatives. Try the Phillips Hue Wireless Starter Kit for connection to your smart hubs, or start small with a smart plug that can be controlled from your phone. Then, watch your energy bill decrease, thus saving you more money! Gadgets to keep your family safer. Nest Smart security cameras are a great way to keep an eye on your home while you’re at the office or out of town. With a subscription to Nest Aware you can store 30 days’ worth of 24/7 footage of your home so you won’t miss anything. Nest Alerts will also send alerts to your phone when something unusual happens like it detects a human in frame or suspicious activity in you talk and listen through your phone so you can remind your husband to do the dishes or yell at the dog to get out of the kitchen. You can also pair your Nest camera with your smart lights or blinds to make it appear like you’re home when you aren’t. Smart locks and doorbells can also be installed. 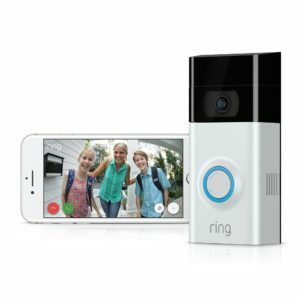 The Ring Doorbell has a camera that alerts you remotely when someone is at your door, and the August smart lock lets your lock or unlock your home from anywhere. With Smart Home Security systems have piece of mind that your home is safe and is exactly how you left it. Thankfully, set up is easy. Just ask Alexa or Google! They can help you step-by-step through the process.